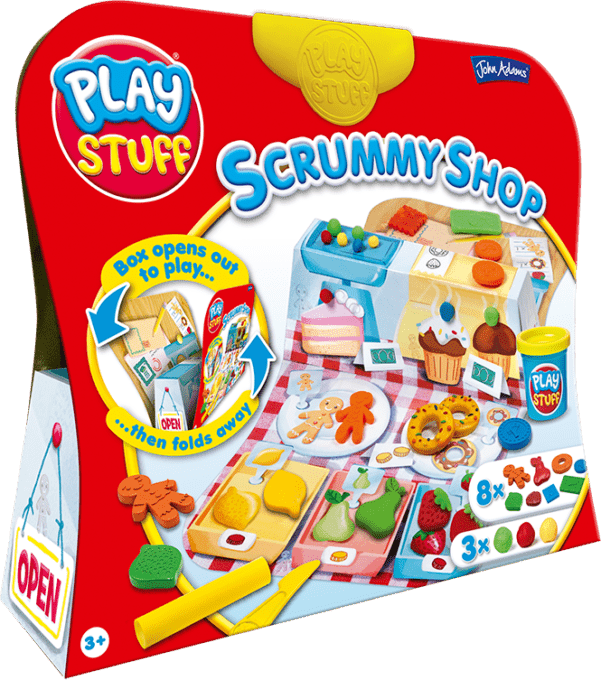 The Play Stuff Dough Scrummy Shop is ready to be explored and enjoyed! 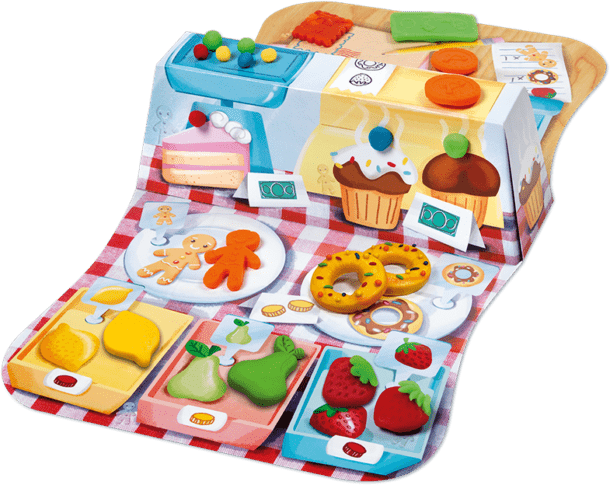 Create a fun shop scene using the 3D play board, which is sturdy, non-stick and has two beautifully illustrated areas for the dough to be played on. 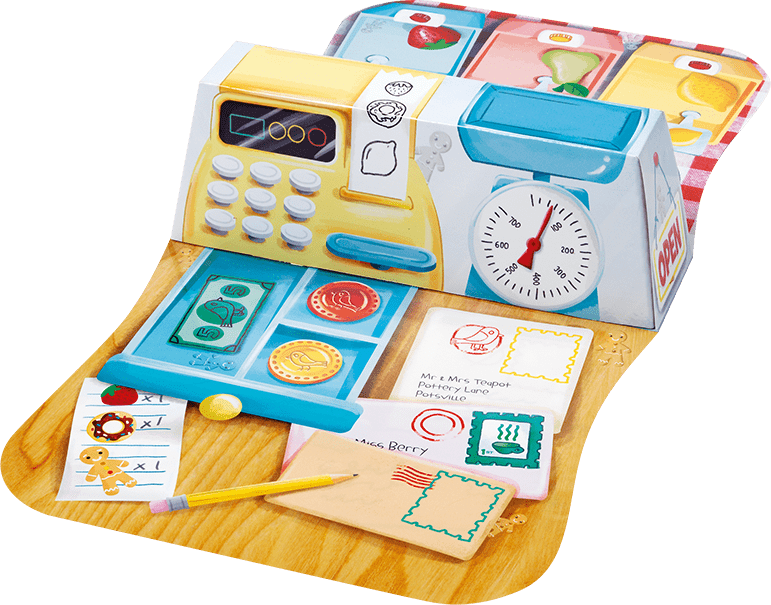 The clever box folds out to reveal the play board, then simply fold it away when finished. You can neatly store your dough inside and clip together – it’s that easy! The fun little moulds help children to develop hand eye co-ordination and imaginative play. The safe plastic tools that are included are great for rolling, moulding and chopping shapes. Can you find the 10 hidden gingerbread figures?